In the class of the greatest in Tennis where you find people like Roger Federer and Serena Williams is where you will also find Rafael Nadal. He is a professional tennis player from Spain who has been able to rule the tennis world for some time, having made his pro debut in 2001. With close to 80 titles to his name, here are things you need to know about the Spanish tennis player. It was as Rafael Nadal Parera that the recurrent world number 1 tennis player was born on 3 June 1986 in the Balearic Islands, Spain. He was raised alongside his younger sister by their parents, Sebastián Nadal and his mother in their hometown. While his father is a businessman and his mother a housewife, he grew up loving sports and playing tennis. 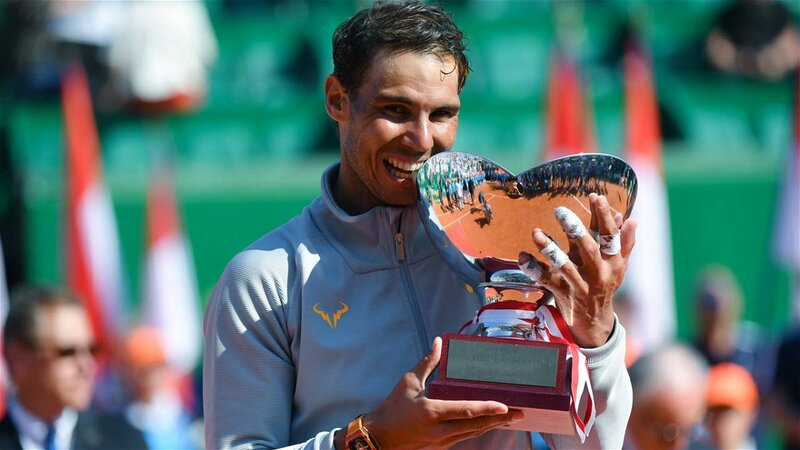 Interestingly, athletics was not too far from his family as he has an uncle who used to play professional football named Miguel Ángel Nadal, as well as another named Toni Nadal, who played tennis and was even instrumental to bringing Rafael into the sports when he was just three. Not so long after he began playing as a child, it became apparent that he was cut out for the sports and he would grow to dominate despite the fact that he was playing both football and tennis. Soon afterwards, he left football to concentrate on tennis and before long it began to pay when he started winning championships when he was just 8. Later to be known for taking a bite from his trophies, Rafael Nadal went pro when he was only 15. He would go on to take the ATP Newcomer of the Year Award in 2003, continue to rise until he reaches the World’s number one spot for the first time on 8 August 2008. Having won his first Grand Slam title in 2005, he would go on to appear in 23 by the end of 2017. From the 23, he won 16, losing 3 to Roger Federer, 3 to Novak Djokovic, and 1 to Stan Wawrinka. Interestingly, he got to beat Federer 6 times and only got the last laugh against Djokovic three times. In Wimbledon Open 2018, Djokovic defeated Nadal 6-4, 3-6, 7-6, 3-6, 10-8 following one of the longest semi-finals in a major tennis tournament. This happened to be Nadal’s first ever defeat in a Wimbledon semi-finals. The glory of his career thus far is decorated by close to 80 career titles and still counting as well as 2 Olympic gold medals that he won at Beijing 2008 (singles) and 2016 Rio de Janeiro (Doubles). Rafael Nadal is without any doubt, one of the greatest tennis players to walk the earth. As a result of that, he has been able to make a great fortune for himself. In 2017, Nadal was listed among the 100 highest paid athletes in the world by Forbes magazine. He took the 33 spot, with a total earning of $31.5 million recording $5.5 M in salary and earnings and $26 Million in endorsements. As regards his general net worth, Nadal is estimated to worth over $100 million dollars. Through his career, he has won $82 million in prizes which, coupled with his numerous endorsement deals, have been able to make him a wealthy man. He has had endorsement deals with brands such as Nike, Tommy Hilfiger, Babolat, Kia, and Gocycle electric bike among many others. Many of the endorsement deals are still on. 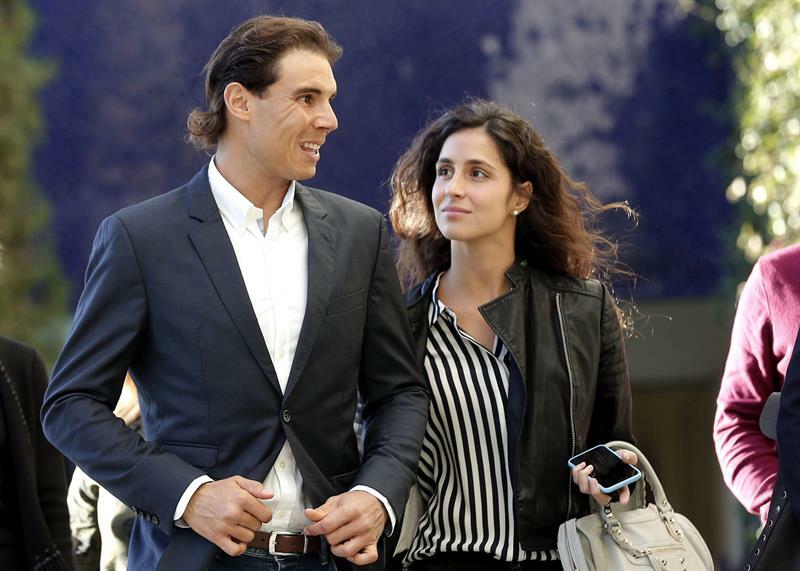 Nadal was raised alongside his younger sister, María Isabel Nadal. The two have not only remained very close, she is also always there to cheer him up, and hence, she is a very popular face during his games. Apart from his sister and of course, his mother, another person very close to him is his girlfriend, Maria Francisca Perello. She has been with the tennis player since they began dating in 2005. Before they decided to start a relationship, the Spaniards had known each other for a few years. Even though she is dating a man who is constantly in the eyes of the media, Maria Francisca Perello is completely media shy and private which has mostly kept her away from social media. Although they have remained together for a significant part of their lives, Maria is yet to become Rafael’s wife and there is yet to be an announcement of engagement as at mid-2018. Just as it is with many other tennis players, the Spanish star has a good height and general body build. This is among the things that have helped him to reach the stage he is in the sports, in addition to his skills and talent. He stands at 1.85 m (6 ft 1 in) above the ground and has a body weight of 85 kg (188 lbs). In general body measurements, Nadal has a chest that measures 41 inches, a waist that is 33 inches, and biceps that measure 15 inches. More so, he wears a shoe size of 10 (US).